I would venture to guess that one of the least known periods in American history lies between the years of the Revolutionary War and the Civil War. Many of us are pretty well versed in the events leading to the creation of the United States, and that later titanic struggle to keep them united, but what lies between them is often murky, if not completely unknown. For instance, how many folks do you know who can tell you anything coherent about the War of 1812 or the Mexican-American War? Not many, I bet. It seems to be a rather obscure period to most people, almost as if we, as a nation, had yet to gel, to come completely into focus. And maybe there's some truth in that. If you are wondering to what literary purpose this line of thought could possibly lead, I can only offer this historical terra incognita as potentially fertile ground for the writer's imagination. The following is a brief account of one event during this period with which you may not be acquainted. If you are, I salute you, if not, read on. In the year 1791, the brand new nation of the United States, still recovering from years of protracted warfare with England, faced one of its greatest challenges--the Northwest Frontier. Not the northwest that now encompasses Idaho, Oregon and Rob Lopresti's beloved Washington State, but a great swath of territory bounded by the Ohio River to the east and south, the Mississippi to the west, with Canada as its northern border. An area that now includes the states of Ohio, Indiana, Illinois, Michigan, Wisconsin, Minnesota, Kentucky, West Virginia, and part of Pennsylvania. This was Indian Country. Of course, it had always been Indian country, but in the years leading up to 1791, it had become more so due to the pressure of westward expansion by the new Americans. Many tribes that had once lived in New Jersey, New York, Delaware, Pennsylvania, Maryland, Virginia, and the Carolinas had coalesced in the Ohio River Valley, and there was a growing sentiment among them that they had been pushed far enough. At this time the Ohio Valley and its environs were a vast and abundant wilderness, teeming with game. Bison still roamed its verdant terrain, as did bear, wolves, cougar, beaver, otter, and elk. Most European-Americans had never been beyond the boundary of the Allegheny Mountains and the Ohio River was the demarcation line between two vastly different worlds. Based on the explorations and hunting tales of the legendary Daniel Boone and others, it was rumored to be a paradise on earth, and in many ways it was. However, this was a paradise that demanded blood from interlopers. 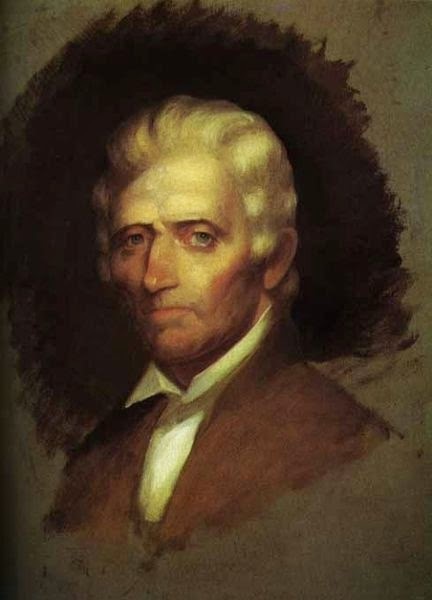 Daniel Boone himself had narrowly escaped death there on several occasions, and had lost both his eldest son and youngest brother to Indian warriors. And their deaths had not been easy ones. Torture and terror were familiar tactics in wilderness warfare, and Boone's loved ones had suffered terribly before their deaths. He had enjoyed some protection in his travels as the adopted son of the Shawnee Chief Black Fish, but it was no guarantee of a long life in this part of the world, as inter-tribal rivalries and conflict were a part of the fabric there too. 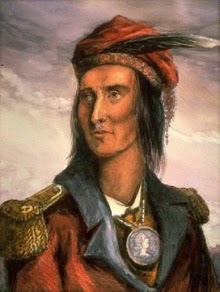 As a literary aside, James Fennimore Cooper's "Last Of The Mohicans" was based largely on Boone's actual exploits and adventures. Warfare between the Native Americans and the Europeans was nothing new in this region. In fact, by 1791, it had been on-going, with only brief interludes of true peace, since 1754. Literally thousands had died beginning with the French and Indian War, followed by Pontiac's Uprising, Lord Dunmore's War, and most lately, the Revolutionary War. The largely Algonquian-speaking tribes of the region had sided with the British in the War of Independence, and with the French in the first war. The two wars in between had been on their own initiative. None of these choices had endeared them to the New Americans. In 1783, the Treaty of Paris settled the peace between Britain and its former colony, resulting in His Majesty's government ceding all of its territory as far west as the Mississippi River to the new American government. And therein lay the rub--the Indians considered these lands as their own to use and live upon and they had not signed any treaty nor been invited to Paris to do so. They did not intend to abide by it. 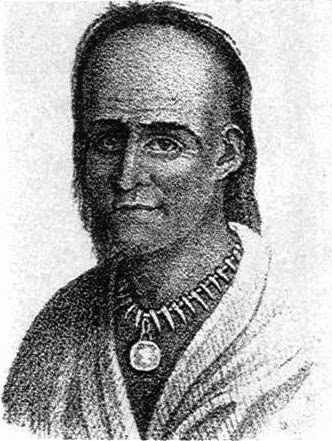 The idea of a separate Pan-Indian Nation had been growing amongst the various tribes since Chief Pontiac's doomed coalition of tribal nations, and many felt the Ohio River should be their new national border. But, to complicate matters for the intransigent tribes , the Six Nations (a confederacy of Iroquoian tribes consisting of the Mohawk, Oneida, Onondaga, Cayuga, Seneca, and Tuscarora) claimed the Ohio Valley as their own, though they did not reside there, and that the largely Algonquian tribes in the region had been subjugated by them and dwelled there under their sufferance. Though there was some truth to the claim of having subdued these neighbors at one time or another, there was little to support their declaration of territorial ownership, a concept largely foreign to Native American society. Nonetheless, the new American government negotiated with them, gaining the Six Nations' blessing for settling the area, while guaranteeing them the inviolability of their own homeland in upstate New York. 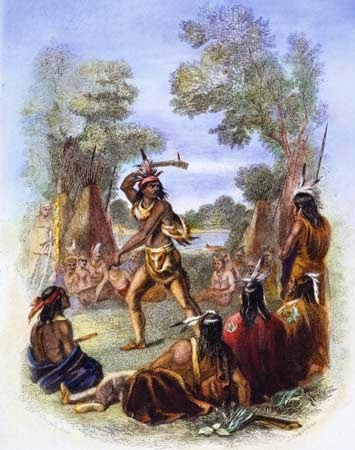 Though there were dozens of Ohioan tribes affected by these events, some indigenous to the valley, as well as a number newly arrived there, three stood out in their stiff resistance to the new regime: the Miami, the Shawnee, and the Delaware; each of these led by particularly gifted warriors: Little Turtle, Blue Jacket, and Buckongahelas, respectively. They intended to enforce the line of demarcation and waged a particularly vicious campaign against the whites that crossed the river. By the time President Washington determined to take action, the death toll of westward traveling pioneers had risen to some 1,500 slain. The first attempt by the fledgling American government to force the issue in what became known as Little Turtle's War, was in 1790. After the War of Independence, the army had largely been disbanded, and what was left was under-funded and woefully equipped. Under the leadership of General Josiah Harmar, a force of approximately 1,100 poorly-trained militia, stiffened by some 320 regular soldiers of the First (and only) Regiment of the U.S. Army, headed west into Ohio country. There, on Oct. 22, near present day Ft. Wayne, Indiana they were met by 1,100 Indian warriors primed for a fight. For reasons known only to the general (some say that he was drunk at the time) he only committed 400 of his men to the attack. This was not sufficient to carry the day, but when he was informed that things were going badly for the vanguard, he refused to send reinforcements, setting the remainder of the regiment into a defensive posture. In the end, he managed a retreat, losing a 129 soldiers killed, 94 wounded before the day was done. Estimates of Native American casualties (wounded and killed) was 120 to 150. Though their losses were similar, the Northwestern Tribal Coalition had unquestionably triumphed...and they were just getting warmed up. Having been thoroughly chastised for their encroachment, Harmar's army fell back across the river. Their Commander-In-Chief, President Washington, no stranger to military set-backs and defeats himself, re-evaluated the situation. 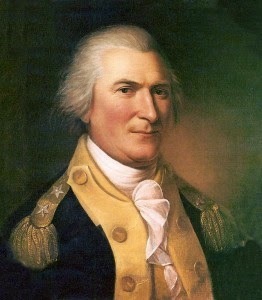 Deciding that the faults exhibited by Harmar could be addressed through an experienced and competent commander, Washington appointed his old friend and comrade-in-arms, General Arthur St. Clair to take the fight to the enemy. A veteran of the Revolution, and current governor (at least in name) of the newly acquired Northwest Territory, he appeared to be a sound choice and a steady, combat-proven, leader. Perhaps his only obvious drawbacks were his age and declining health; of his resolve and courage, there was no question. These he would need. Instructed to mount his campaign during the summer months, St. Clair set about his task. Congress agreed to raise a second regiment for his use and to augment the sadly demoralized First Regiment. In the end, they were only able to recruit about half of the numbers required, and the First had become reduced to a mere 299 soldiers. St. Clair was forced to recruit militia from Kentucky, as well as two regiments of six-month levies. It was not the army he would have wished for. St. Clair's target was the Miami capital of Kekionga, where he hoped to strike a decisive and winning blow. However, plagued by supply and logistics problems, his army was delayed in their departure until October. Setting out from Fort Washington (present-day Cincinnati), he led a force of around 2,000 men, of which only 600 were regulars. They also had about 200 camp followers attach themselves to the expedition--mostly wives, children, prostitutes, and laundresses. Desertions had begun even before they left the fort and within a short while, as they made exceedingly slow progress, their numbers fell to about 1,500 ill-trained and equipped fighting men. Undoubtedly, it was not how St. Clair had envisioned things. To make matters worse, the commander made a decision to build a series of forts along their route of march. Whether these were intended to function as future garrisons, or as potential fallback positions, is not clear, perhaps he was thinking of both. In any event, the effort involved in these undertakings was considerable and further slowed their march into the wilderness. This, and the unusually cold autumn, may also have encouraged further desertions, which continued unabated throughout their westward movement. As if these difficulties were not enough, the expedition was shadowed daily by hostile forces who reported their progress (and lack thereof) as well as their troop strengths and dispositions to their leaders. No doubt Little Turtle, Blue Jacket, and Buckongahelas were encouraged at the continued bleed-off of manpower. These same skirmishers made numerous deadly forays into the Americans' columns, as well, howling out of the shadow of the forest in a fast-moving terror of whirling tomahawks and war clubs. Almost before the soldiers could react, the Indians would vanish back into the woods spattered with the blood of their enemies and lofting their scalps in triumph. Troubled by both gout and a personal feud with his second-in command, St. Clair forced his troops deeper into the heart of darkness. By November 2, All-Souls Day, he commanded only 920 soldiers and the ever-dogged camp followers. The following day, St. Clair ordered his men to set up an encampment at the headwaters of the Wabash River. They were within reach of their goal. Inexplicably, and against the advice of President Washington, he failed to order the fortification of the camp before nightfall, seeming to forget that his forces were also within easy reach of their enemies' main body of warriors. The three chiefs decided that this would be the spot that they would fight. Watching unseen from the wood line the following dawn, over 1,100 Native American warriors waited for their opponents to stack their arms in preparation for morning chow--a ritual they had witnessed many times. They were not disappointed, and reacted by swooping down upon the unarmed militia first. The unseasoned civilian/soldiers fled before the onslaught without their weapons, and were chased down and killed almost before the others could react. The regulars, under St. Clair's direction grabbed their muskets and formed a battle line, discharging their weapons into the attackers, breaking their charge and causing them to fall back. On a slight rise above the camp, artillerymen rallied to prepare their small cannon and place fire on the screaming, killing horde. But they had been anticipated by the cunning chiefs. Indian sharp-shooters cut them down, driving the survivors off the hillock and into the arms of their enemies. Meanwhile, Little Turtle and his co-commanders directed a flanking movement to pour fire into the American troops. Desperate, St. Clair ordered a bayonet charge to break up the enemy's attack. 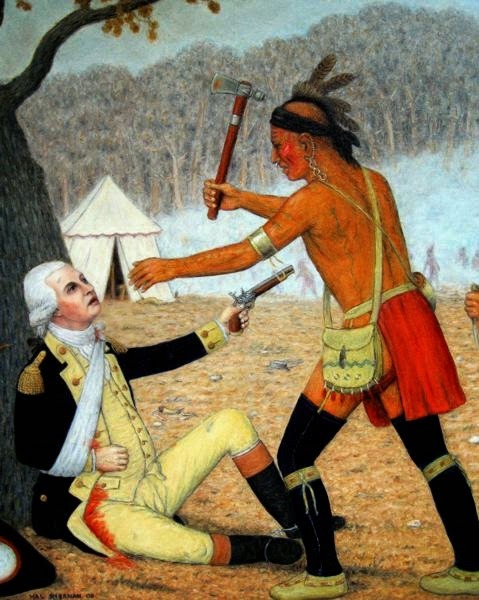 The Indians fell back into the woods where the Americans followed, only to be surrounded and cut down. Leading additional bayonet charges time and again, St. Clair met with the same results, his army was being cut to pieces. While attempting to rally his men, he had several horses shot out from under him, and was seen dragging men out from hiding beneath wagons, calling them cowards, and ordering them to take up the fight once more. It was all for naught. After several hours of blood and chaos, he formed up what was left of his force and led yet another charge--this one to open a path to the direction from which they had come. Leaving the dead and dying behind, the remnant was dogged for three hours more as they desperately made their way eastward. Then, the triumphant Confederation warriors, distracted by the opportunity for scalps and booty, broke off the pursuit and returned to the battlefield. Those that lay dead there were the lucky ones. The rest were tortured and burned alive. It was said that the field of human torches lit the night sky. At the end of the day, 832 whites had been killed (including nearly all of the camp followers) and 264 wounded, a casualty rate of 97.4 percent. Only 21 Indian warriors had been slain; another 40 wounded. It remains the worst single defeat ever suffered by the U.S. Army, and amounted to three times the number of Custer's troops slain at Little Big Horn. The contest would enter the history books as the Battle of the Wabash, a rather innocuous title. The Indian Nations would call it the Battle of a Thousand Slain, a somewhat more accurate description. Several "firsts" emerged from the disaster: Congress issued its first-ever demand for White House records regarding the conflict, and the president, in his turn, exercised the first recorded instance of executive privilege. He denied the demand until the records could be copied, as he felt it unwise to hand over the only originals extant. Gen. St. Clair demanded a court-martial, feeling it would clear his name, but his boss denied him. The congressional investigation largely exonerated him nonetheless, accepting his explanation that the expedition had been doomed from the start by a Department of War that refused to furnish sufficient, and properly trained, troops and barely supplied them enough shot, powder, and food to survive the undertaking. Of course this was not the end of the matter. Washington appointed, yet another, hero-veteran of the Revolution, "Mad" Anthony Wayne, to head up a third military expedition. On this occasion, however, Wayne was granted his demands for enough time in which to train his troops, and that they be properly equipped and supplied throughout. In return, he promised both success and an army worthy of the name. His new American "Legion" was not ready until 1794, but when they went into action at the Battle of Fallen Timbers they broke the back of the Northwestern Confederacy. Scattered and defeated, the Native Americans were forced to withdraw further west, many crossing the Mississippi to escape the steady encroachment of the settlers. But the dream of a Native American Nation was not dead, and a young Shawnee named Tecumseh would revive it in less than a generation. But that's another story.